Jerick McKinnon wanted more in Minnesota. He found more in San Francisco, a four-year deal that will reportedly pay close to $30 million. Jerick McKinnon wanted more in Minnesota. He found more in San Francisco. McKinnon, 25, is headed to the 49ers, a league source confirmed to the Star Tribune. It’s a four-year contract that will reportedly pay him up to $30 million, according to ESPN’s Adam Schefter. He can officially sign the new deal when free agency opens at 3 p.m., when he’s expected to become one of the league’s highest-paid running backs at $7.5 million per season. However, his actual guaranteed money is unreported and will tell the immediate impact. 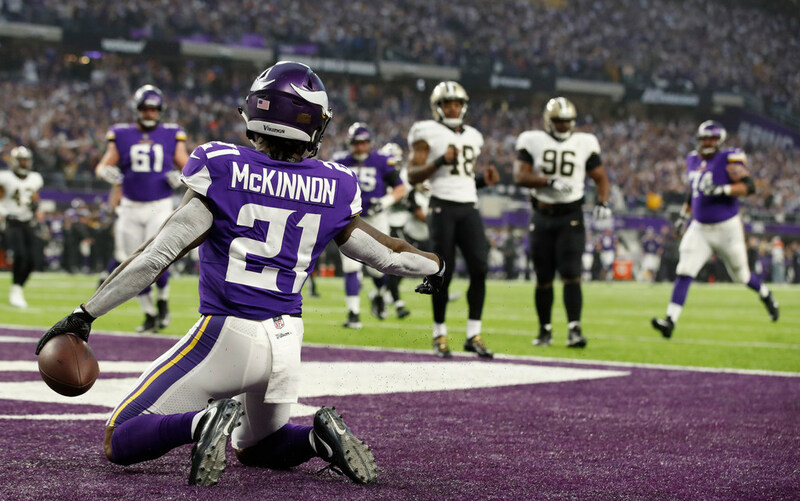 McKinnon was unlikely to ever return to the Vikings, saying so following the NFC title game loss in Philadelphia. The Vikings should miss McKinnon. They might not, at least on the field, with a talent like Dalvin Cook leading the way. That’s why McKinnon didn’t see much of a future with a Vikings franchise that drafted him in 2014’s third round. Cook, a 2017 second-round pick, is expected to see the primary workload to the point the Vikings are mindful of not overworking him on a surgically-repaired knee. McKinnon was a reliable passing-down back for the Vikings, and asked to play a larger role on multiple occasions. He first stepped in as a rookie when Adrian Peterson was suspended, averaging nearly five yards on 140 touches. He leaves with 1,918 rushing yards and 984 receiving yards under his belt. San Francisco gets a running back built for today’s NFL. McKinnon was an engine who drove the Vikings screen game as a superior athlete in space. His seven catches of at least 20 yards last season ranked third on the Vikings. He gained a career-high 991 yards from scrimmage with five touchdowns while splitting the load with Latavius Murray. Can Kirk Cousins be the next Drew Brees?